You are viewing information about MIPS reporting in 2019. 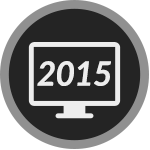 You must have technology certified to the 2015 edition in order to report these measures. CMS is eliminating base, performance, and bonus scores in favor of a new scoring methodology consisting of one set of 4 objectives encompassing 6 measures*. Clinicians must report on all 6 measures in order to earn a score for the category. Read more about the PI performance category. *Security Risk Analysis remains part of the requirements for the Promoting Interoperability performance category, but will no longer be scored as a measure.